NOTE: Real Estate For Sales signs "DO NOT GIVE YOU THE RIGHT TO TRESPASS". You need a real estate agent present with you or get written permission from the owner, property manager or the listing agent before you can enter onto the property. NEW County Tax Records Link Page! More Details Below. This very beautiful & secluded wooded acreage with large pine and oaks will be beckoning to you! Relax and enjoy the sights and sounds of nature! 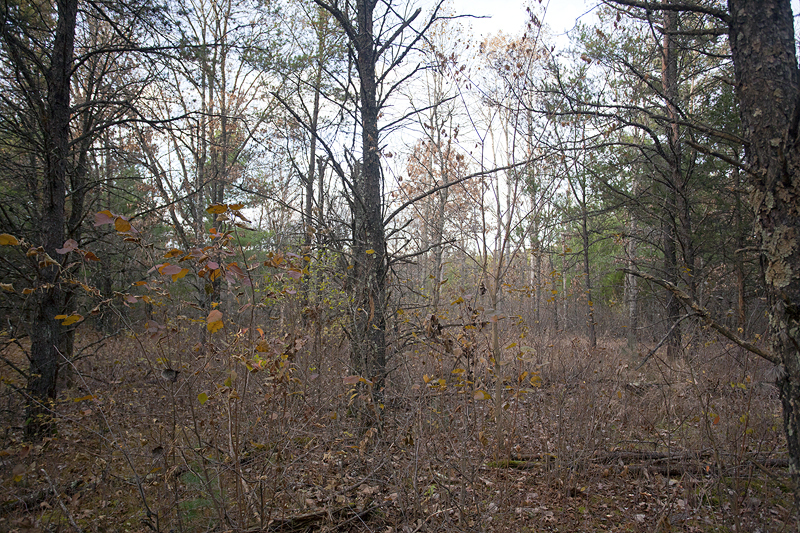 This is almost 42 acres with excellent habitat for the abundant whitetail deer, wild turkeys and other critters that you will share this forest with! Camping is allowed here. $124,900. Excellent location to make your dreams come true! 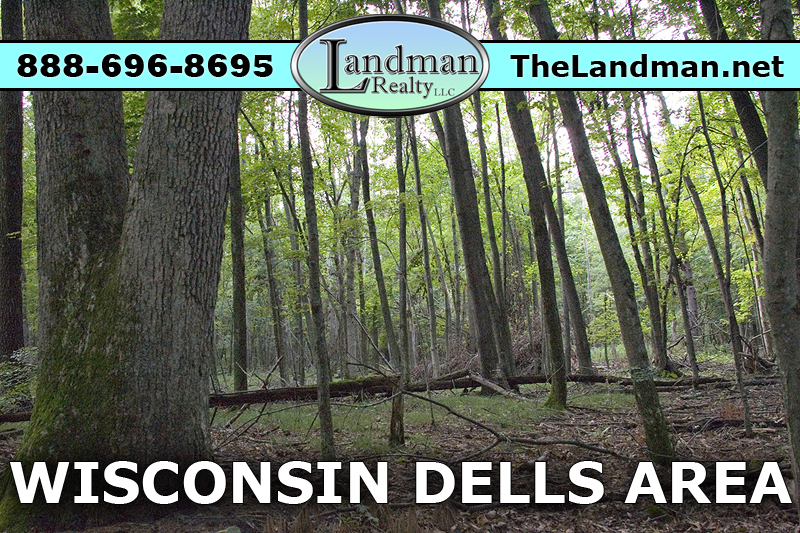 Close to the Wisconsin River, Lake Petenwell and the Tri-Lakes. Also not far from Castle Rock Lake! Build your hobby farm from the ground up in a recreational area near all of the outdoor adventure you love! 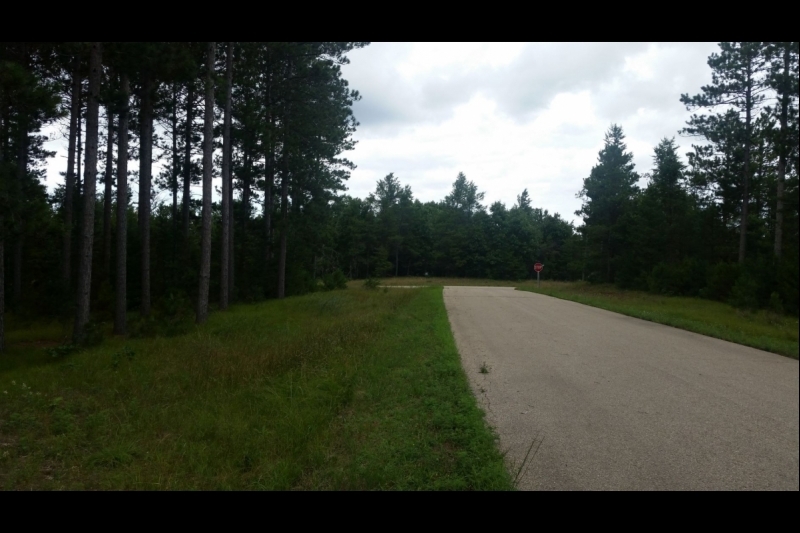 Very versatile property is mostly tillable land with some pretty wooded areas and is just under 35 acres. $114,900. Real Estate TOOLS you will find very useful - (NEW) Wisconsin County Land TAX Records & GIS MAPS. If you are shopping for property anywhere in Wisconsin save these page links! Home features hickory wood cabinets, 2 kitchens with stoves & refrigerators, a 3 car attached garage, rental cottage, gazebo, pier on the lake in a peaceful wooded setting! Spacious well maintained home with many updates, has 4 bedrooms & 3 full baths is sure to please your family & guests! CALL 608-474-2110 $159,000. Gorgeous, very private & heavily wooded acreage is the ultimate get-away spot! Camp or build! Land like this is so hard to find. This property has been in the same family for over 50 years! 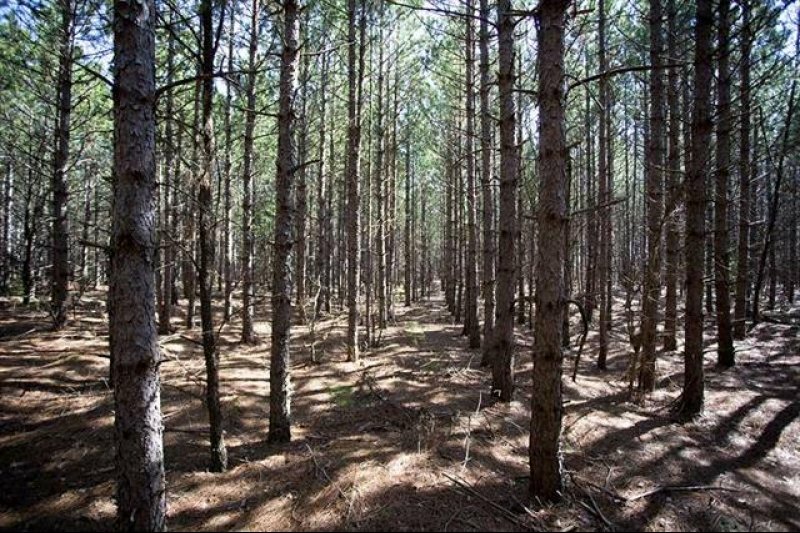 2015 analysis reveals this mature pine plantation & mixed hardwood forest has a remarkable timber value. JUST LISTED - CALL 608-474-2109 $179,900. Featured Wisconsin Real Estate Developments: Wildwood Acres (left) and Pineorama (right). Here you will find maps, photos, documents, real estate, a general description of the development and the area as well. Wildwood Acres start at $12,900. & Pineorama at $12,900. Here's that affordable little get-away cabin with deeded access to Big Roche-A-Cri Creek. 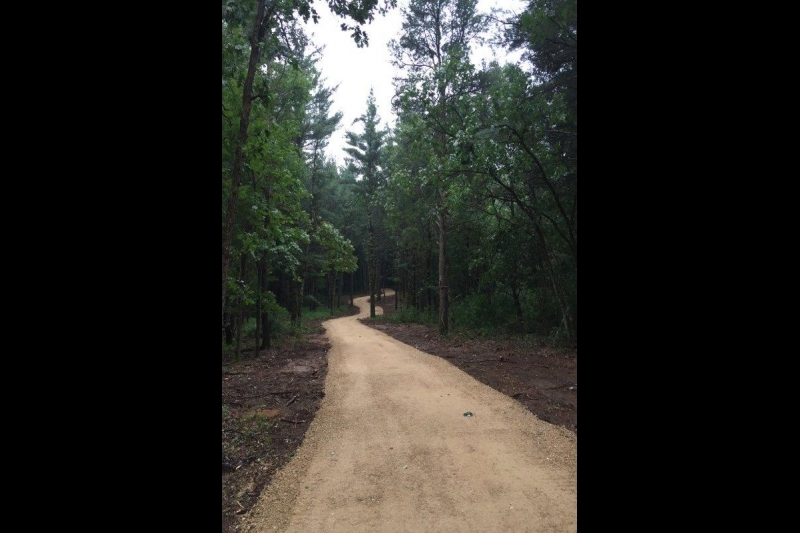 Crystal Brook Woods has an 157 Acre nature conservancy with miles of hiking trails. 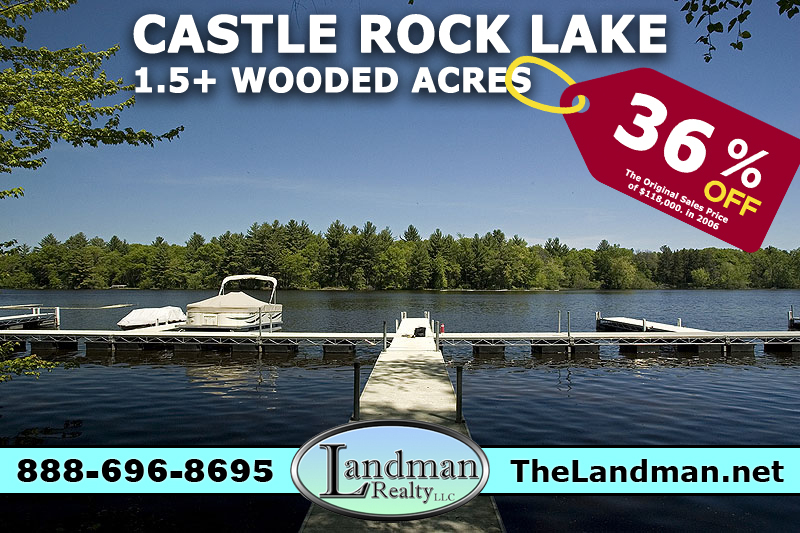 Close to Public Land, ATV Routes, Snowmobile Trails, Horseback Riding, Wisconsin River, Lake Petenwell, Castle Rock Lake... JUST LISTED! - CALL 608-474-2110 $39,900. By both Castle Rock Lake & Lake Petenwell! Home with 2 Car Attached Garage & Wildlife Galore! ATV Route, Snowmobile Trail & Horseback Riding Trails nearby. Well maintained & very affordable home on 6 acres; great for FULL or PART time living in the heart of Central Wisconsin. Just $94,900. Have you visited our Blog Website yet? The Landman Realty LLC online network consists of over 30 websites, 15 social networking accounts and about half a dozen classifieds ad sites. 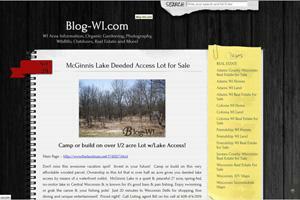 We are constantly updating websites, creating new pages, adding useful tools, posting area information like developments / subdivisions, lakes, counties, townships, towns, wildlife etc... We post links and short write-ups about this information at Blog-WI.com to help our customers and clients find the info all in one location. This wooded 2+ acres is right by to Lake Petenwell! Very few restrictions. Camping is allowed and the camper & well are already here! The boat launch is less than a mile away so bring your boat and your agenda for the ultimate in water-sports action & fun! Swim, fish, ski or sail..you can do them all on this lake. Lake Petenwell is the 2nd largest inland lake in Wisconsin! $19,900. CAMPER & STORAGE SHED INCLUDED! Excellent get-away log cabin in a wooded lake-side community offers deeded lake access through an outlot to a waterski lake. Secure your place for summertime fun! Use for a vacation place or a full time home! Nice log home with many updates offers fireplace, central air & front and back wooden decks! $149,900. 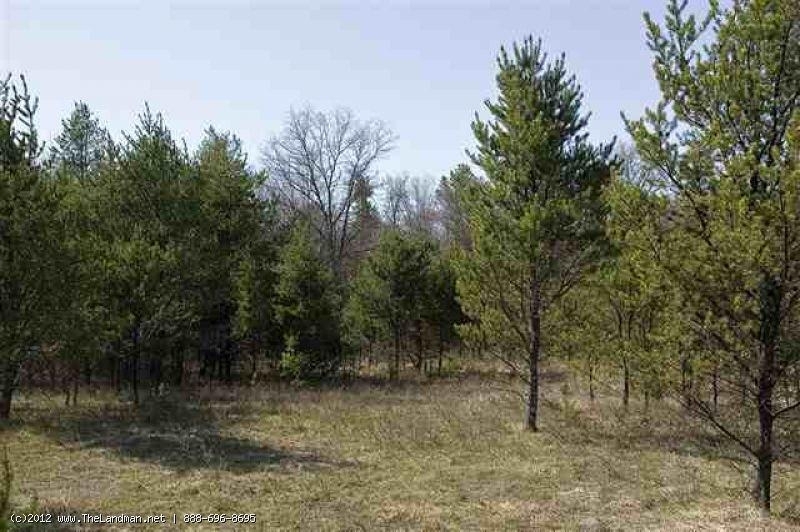 5 Fully Wooded Acres with a high & dry gorgeous campsite or building site. This is directly on the ATV Route & Snowmobile Trail. Horseback riding trail & Public Land across the road. Located minutes from BOTH Lake Petenwell & Castle Rock Lake on the ADAMS COUNTY SIDE of the lakes!$27,900. THIS IS THE ONE! CAMPING ALLOWED!